A healthy lifestyle means you take proper sleep and wake up fresh every morning. On average our body needs 8 hours of sleep to function properly. Anything less than 6 hours of sleep is super deadly and increases potential risks of heart diseases. Lack of sleep is a major cause of fatigue in adults these. In a busy life, we often forget that our body needs proper sleep to function. If you think staying hungry will help you in losing weight, you are doing it wrong. Our body maintains the best of its shape with a proper and balanced diet and not by staying hungry. Hence, if you keep yourself hungry you are likely to feel weak and tired all day. Staying hungry also increases headaches. Here are the options for 6 best low calorie fruits to include in your diets. Excess of everything is harmful, even of exercise. If you are working out more than your body can take, you will feel tired. Your muscles will get stressed due to over exercising. Water is essential to keep our body hydrated and our muscles functional. If you are not having enough water, you will feel tired all day. This also increases strains in the muscles. All work and no party will make you boring and tired. 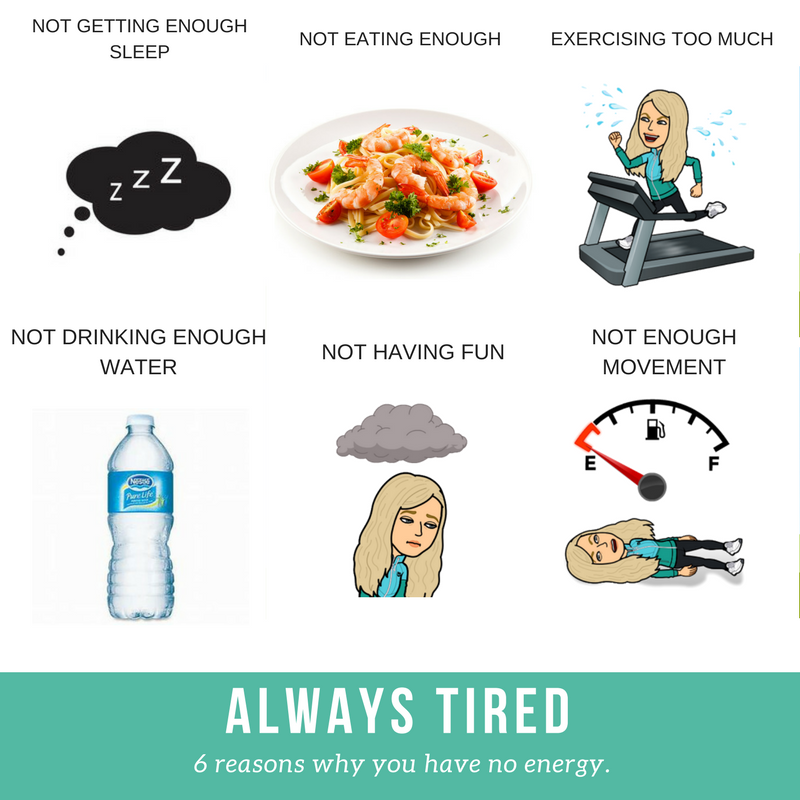 When we keep ourselves away from some time of delight and work way more than our body and mind can handle, we end up experiencing fatigue all day despite having enough sleep and food. If you don’t walk around or move, your body’s tendency to work will decrease. Hence, even a little movement ends up tiring you. Workouts and diet plans are necessary to maintain a healthy lifestyle but there are other small details of our routines that we must also focus on. If you feel tired all day, you can’t properly do your workouts either. Hence, give your body everything that it needs and feel relaxed.